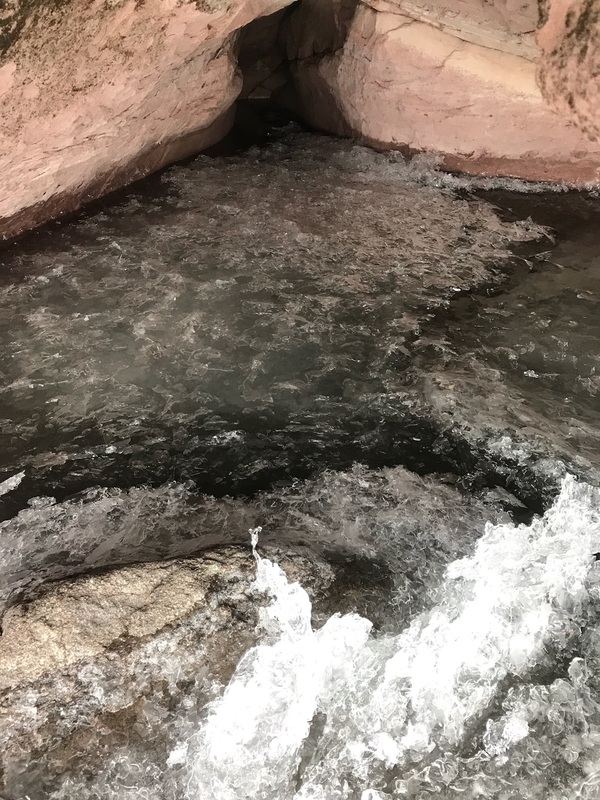 Meyers Beach Ice Caves: Unlikely to open to foot traffic this year due to a very warm start to Winter. 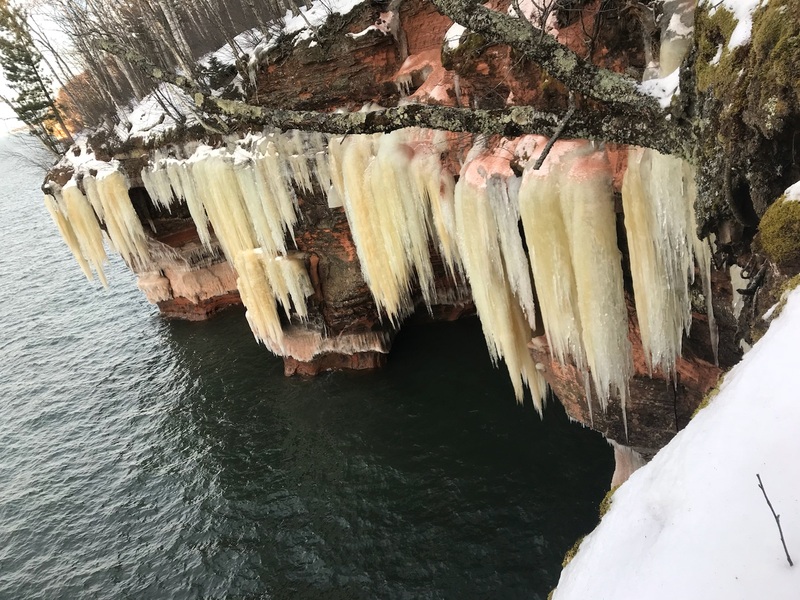 We are way behind on ice formation in the Apostle Islands. 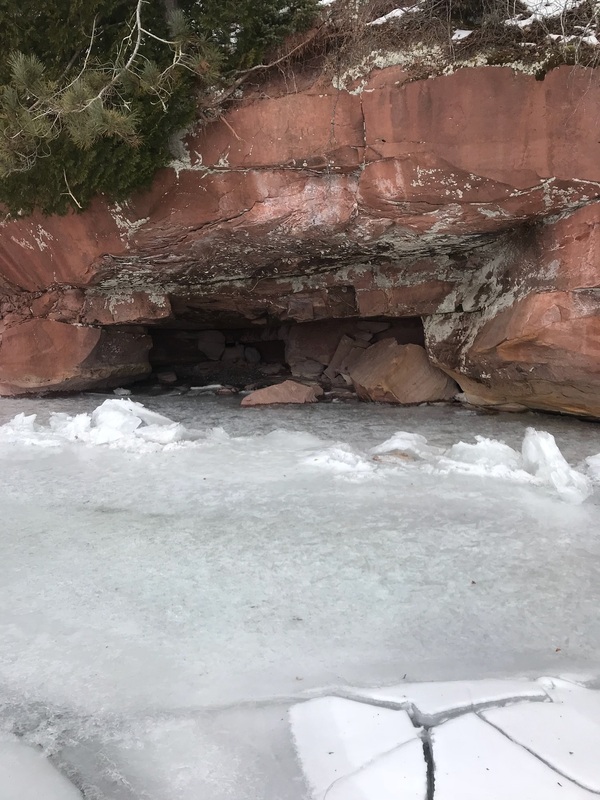 As of 1/13/19 the only ice caves that can be travelled to by foot over the lake ice are the Chequamegon Bay Ice Caves, near Bono Creek. 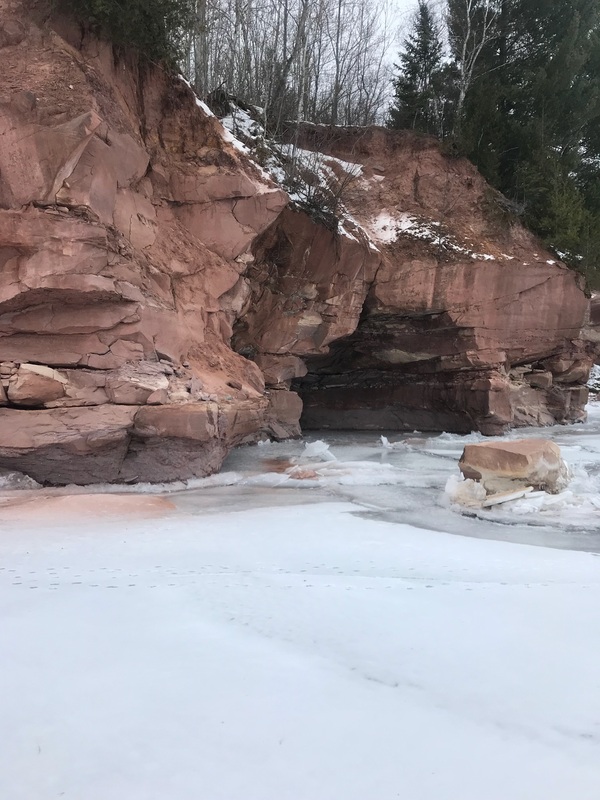 The Chequamegon Bay Ice Caves do not have nearly as impressive ice formations as Red Cliff or Meyers Beach because there is not as much water flowing over the cliffs edge and the cliff is not as tall. 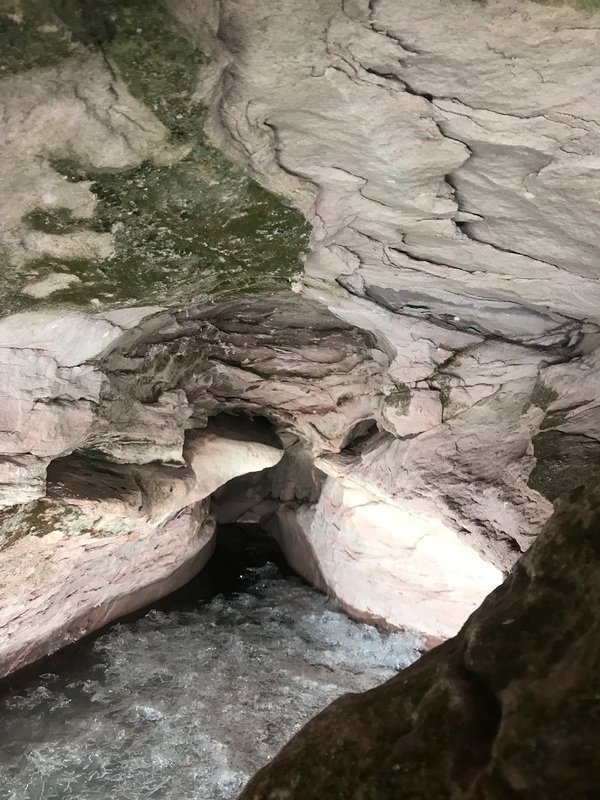 However, if you find yourself in the Apostle Islands Region around this time, these ice caves are certainly your best option. 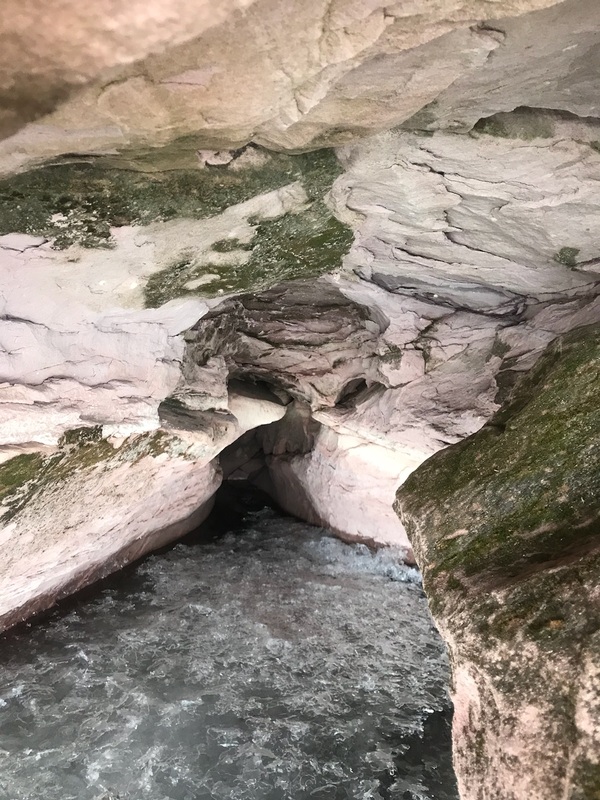 Even the hiking trail above the Meyers Beach Ice Caves is inaccessible. We have been having unseasonably warm temperatures. 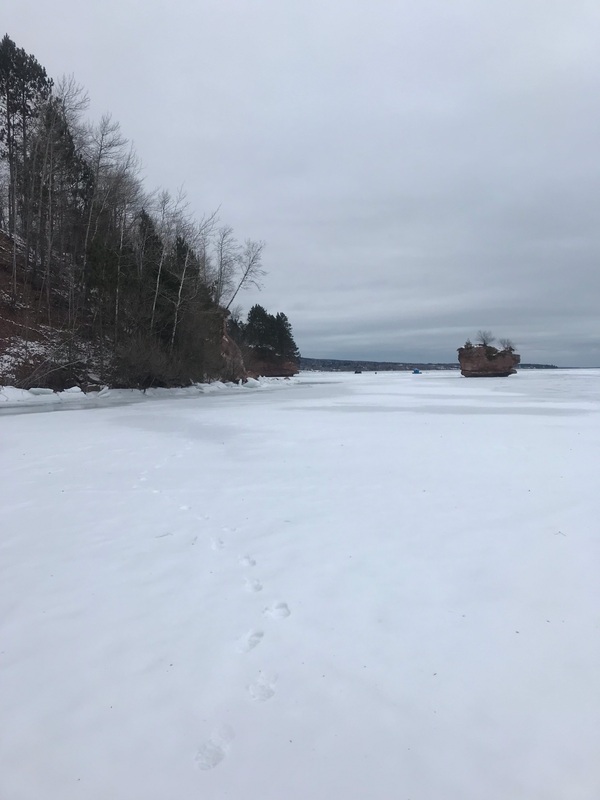 However, starting Tuesday 1/15 the forecast is for single digit or negative night time low temps for the rest of January, and that is the kind of temperatures we need to make ice at Red Cliff and Meyers Beach. 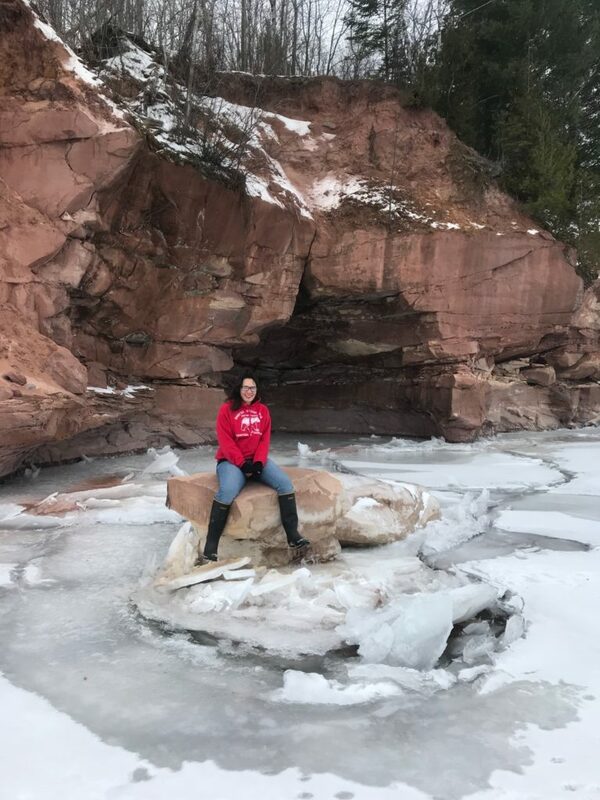 There is still open water with patchy layers of ice at the Red Cliff Caves and Meyers Beach is open water for as far as they eye can see. 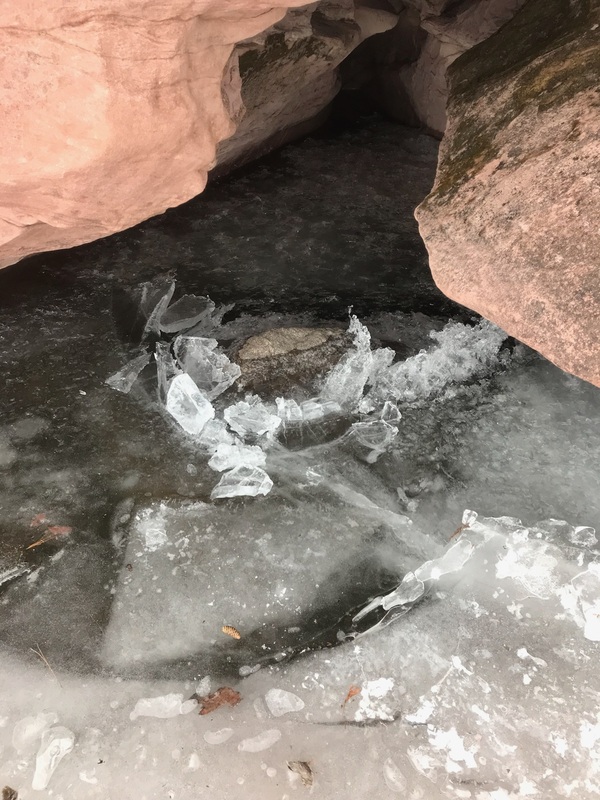 Considering how far behind we are with ice formation, it really does not look like the Meyers Beach Ice Caves will attain the 12″ of ice necessary for them to open this season. 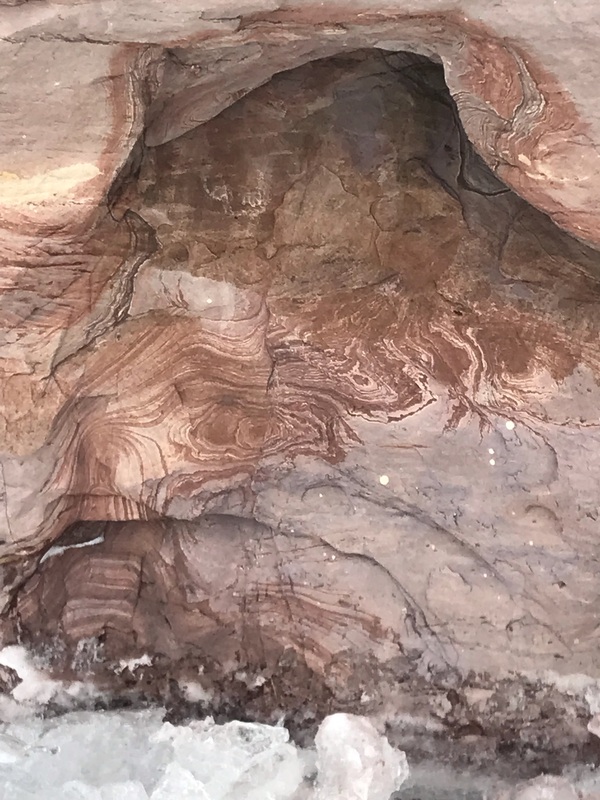 The Red Cliff Ice Caves will open this year but they are about 2-3 weeks behind and look to be opening at the end of January or the beginning of February. 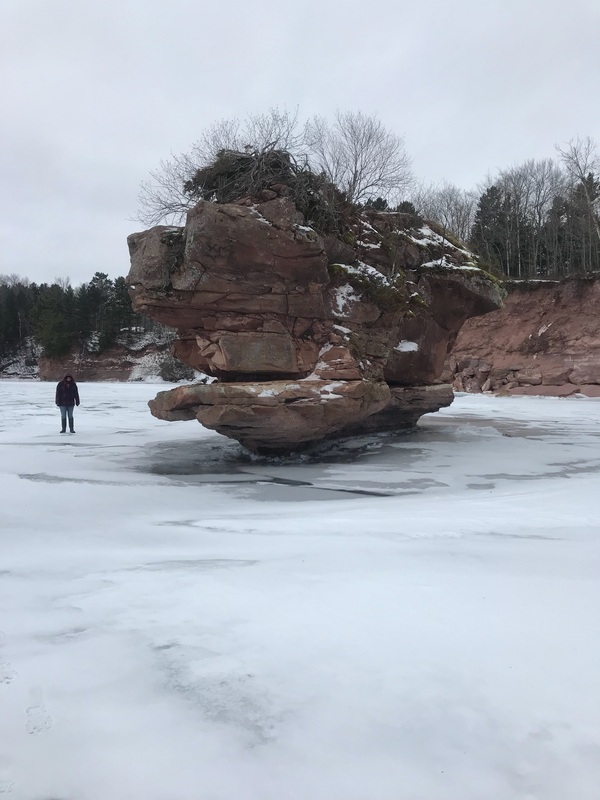 As soon as our ice safety crew is able to travel to Meyers Beach and Red Cliff Ice Caves we will post those photos but for now we are only able to travel to the Chequamegon Bay Ice Caves and those photos are posted below.